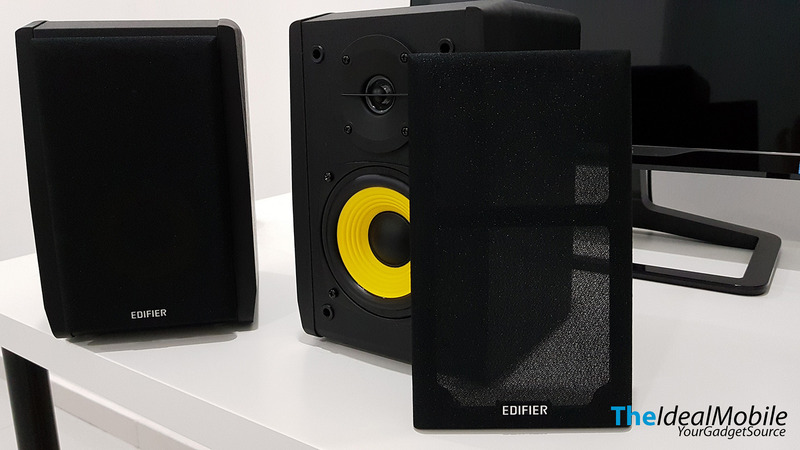 When coming to headphone and speaker, I would think of Edifier that delivers promising audio experience without breaking the bank. Recently I’ve built a PC setup that runs Hackintosh and I would need a speaker to make it run. I need a good and small footprint speaker for a small table that I have. Edifier has this Bookshelf speaker, R1010BT that offers a sleek, classic design and comes with Bluetooth wireless feature. Meaning I don’t need relying on PC to play music, I can use any Bluetooth connected device to enjoy my music. The Edifier R1010BT is a 2.0 speaker and comes in two colors options, Brown (Wood) and Black. 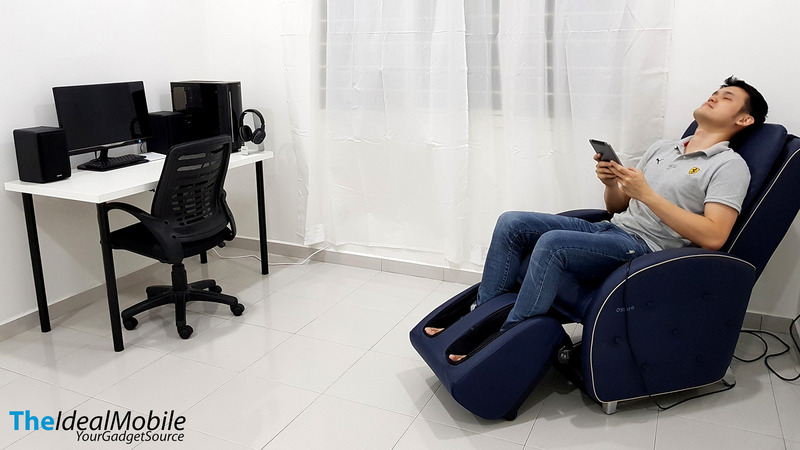 The one I reviewed is the black unit which matches pretty well with my PC setup. It also a perfect addition to any place in the house. 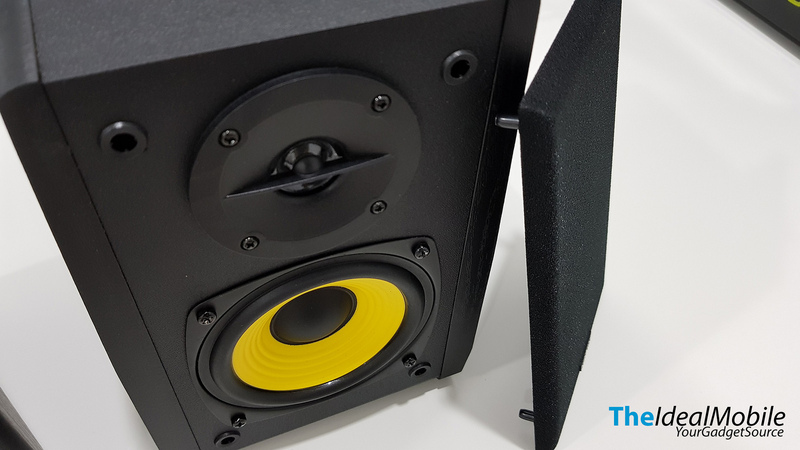 The speaker is made from MDF, Medium Density Fiberboard and has rounded edges to make it look sleek and classic touch. It has dome tweeters and a solid cone driver on each of the speaker. 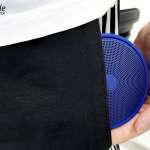 The bass and volume adjustment are placed at the back of the speaker to keep it cleaner looking. Some may find it’s not that convenient but it’s fine for me as I normally only adjust the volume from the source like my PC, smartphone, and tablet. 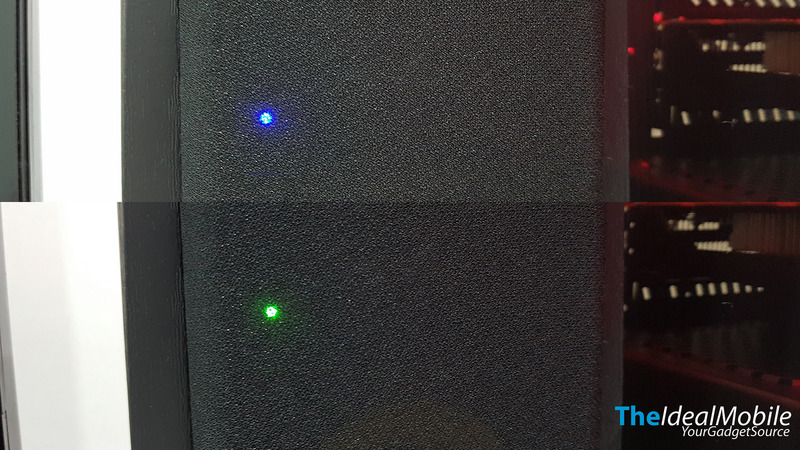 On the right speaker, there’s a status LED which indicates it is in Bluetooth mode (Blue color) or Wired connection (Green color). The mode switches are in the volume knob where it serves as a button. By removing the speaker mesh grill it reveals the yellow ceramic cone which I find it much eye-catching. 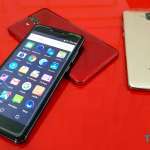 Overall the build quality is solid and has decent weight without much hollowness with plastic construction. The R1010BT has a total 24W RMS output power and is able to provide quite a full sound. I do find that the sound is much richer at lower volumes thus it’s perfect for a small room like a bedroom and best to place towards use with a computer like I did. Bass wasn’t that strong in this department, it’s relatively vibrant and well textured. It provides quite clear midrange thanks to the dedicated tweeter driver which gave extra crispness and details especially on vocals and acoustic. 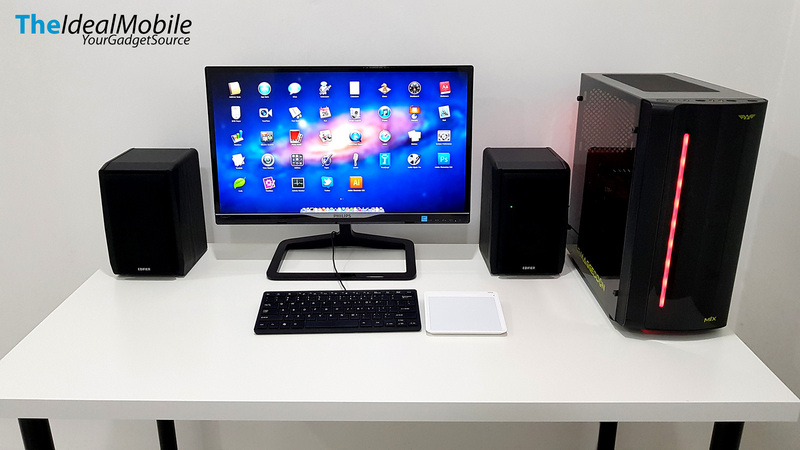 Edifier R1010BT support Bluetooth 4.0 allows two devices to pair simultaneously. In my testing on the Bluetooth connection inside a room, there wasn’t much latency as I expected. It works perfectly fine for music and video streaming on my tablet while I’m enjoying the massage chair. Edifier R1010BT may not give the great bass response but it provides pleasant sound at a very reasonable price. 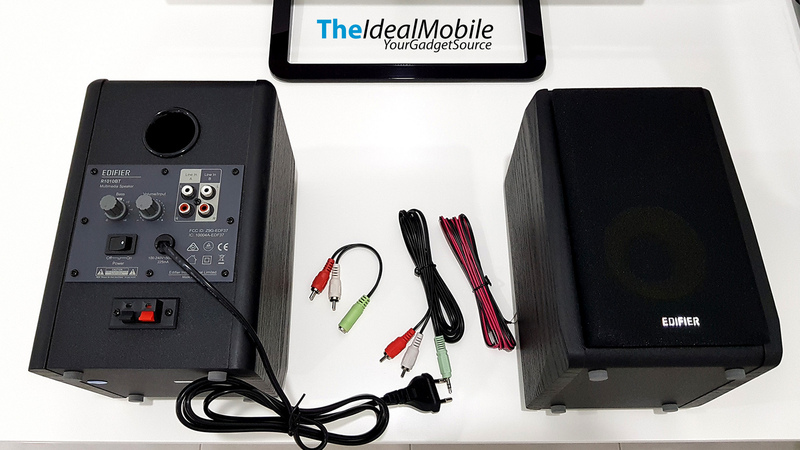 It’s not only a great upgrade for small portable or built-in laptop speakers, the minimalist design blend well in any part in a house as entertainment media. 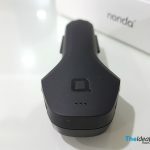 The only downside of this speaker is the switching mode from Bluetooth and wired is a little troublesome where it located on the rear of the speaker. 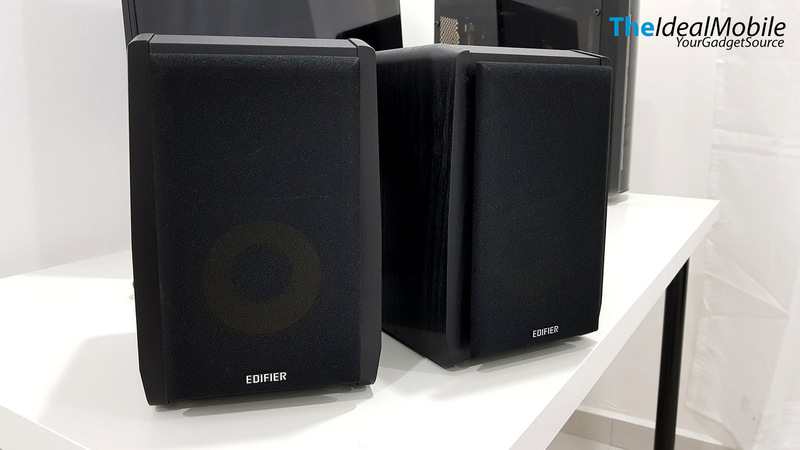 The Edifier R1010BT are offered in two color options; Wooden and Black carrying price of only RM 269 on Lazada Malaysia.